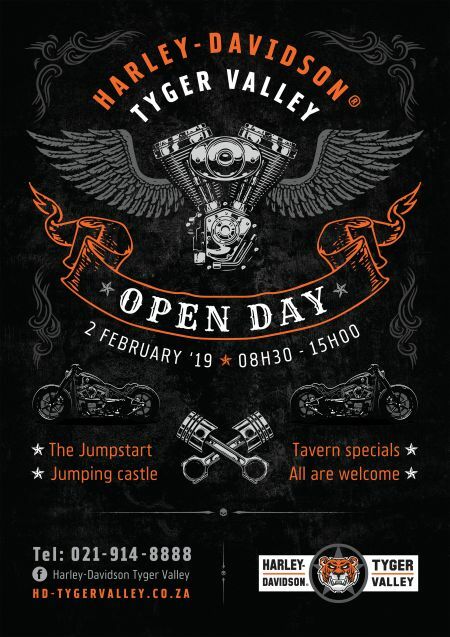 Home › Events › Open Day! Please join us for an Open Day on 2 February! Our Jumpstart will be running for first time riders. For the kids? A jumping castle, candy floss and popcorn! Be sure to spend some time in the Tavern for fantastic food and beverages and of course we'll have specials on fashion and chrome! All welcome, no entry fee. If you have your bike license, please pack in some closed shoes and take a free demo ride on any of the mean machines in our demo fleet!